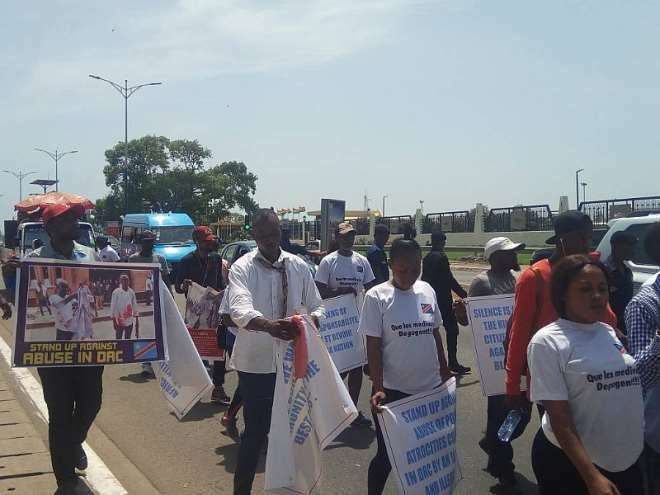 Congolese in Ghana are calling on President Nana Addo Dankwa Akufo-Addo and Ex-President Jerry John Rawlings to intervene in the political unrest in their Country (Democratic Republic of Congo). The leader of the Congolese in Ghana, Matel Gracia, said their President Joseph Kabila who won power in 2001 has never brought anything good but only tormenting people. “I am pleading with the president of Ghana Nana Addo and JJ Rawlings to come to our aid because they are the men of dignity the men of peace and law”, he pleaded. 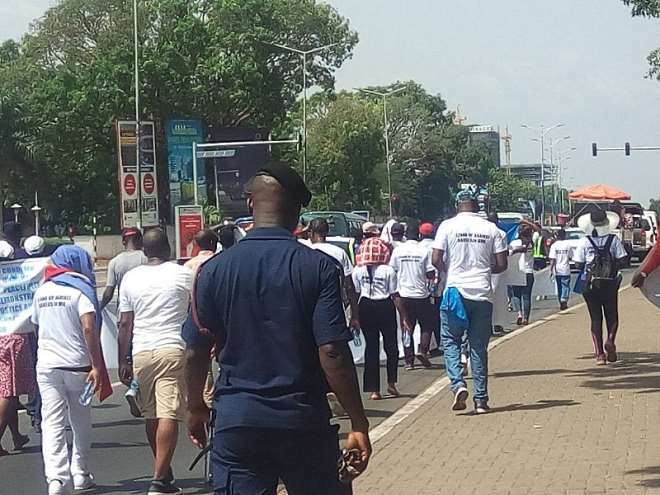 He said this when they organized a walk on the streets of the Accra to protest against the political unrest in their Country. Gracia said President Kabila, who has ruled for 17 years in the office is beating, killing and violating people’s rights and has refused to organize elections. He further stated that Nana Addo and Rawlings are men of dignity and if they come in to speak, he will listen for peace to prevail just as Nana Addo has done in Togo. 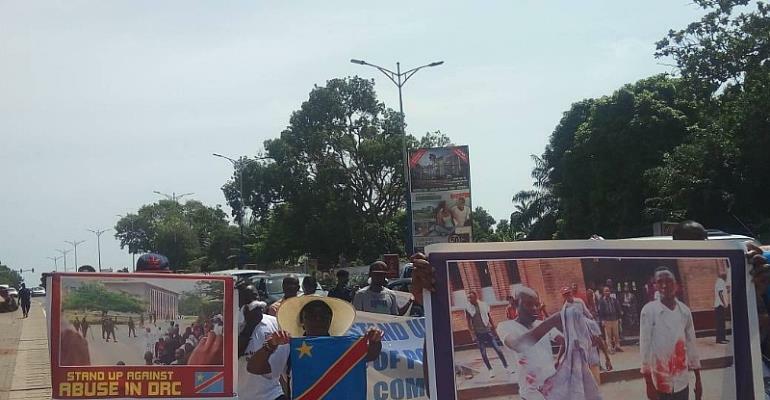 Some Congolese who had fled to Ghana as a result of the political unrest also said President Kabila should step down because he has been in power for 17-years now and his tenure is full of torture.